Sierra is unique among manufacturers with it’s One Stop Parts Shop. We’re here to support the dealers by offering six new kits featuring the fastest moving parts by OEM. All these products are covered by our industry leading warranty. Sierra helps you benefit from a personalized service package designed stimulate your sales and help reach your goals. them. These tailored kits will After you use a part, just reorder and restock. It’s that simple. Your distributor has access to all Sierra products. 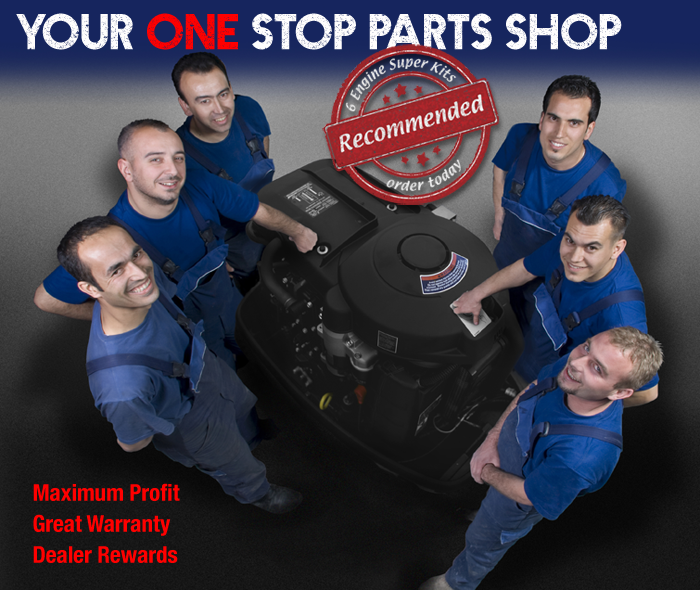 You can find parts for almost any engine brand behind your parts counter. Providing you with a quality product has always been an integral part of our heritage. Our world class Distribution Center has the system in place to make sure we deliver the right part, in the right amount of time. The Sierra Super Kits reduce your costs and improve your service. It also cuts down on your administrative burden by stocking only the fast-moving items. Just grab a part from the shelf and get back to making repairs in no time. Spend more time turning wrenches and less time ordering.